Happy Friday! We are celebrating Cheryl Rainfield's upcoming release HUNTED. Since this is a party and we are celebrating HUNTED.. it is only natural that Cheryl and I should give you some goodies. So.. you will find many throughout this post that you can keep and call your very own. We hope you love them and take very good care of them. Let's get this party started! Let us be the one of the first to hear Cheryl's inspiration for HUNTED..
Now, we can watch the Awesome trailer for HUNTED..
Free! Available at Smashwords in your preferred format --> HERE! So.. pretty groovy so far, yeah? Well, Cheryl just happens to be pretty groovy! And has given us even more! Check this..
You can read the first 6 pages of HUNTED now! --> HERE! Still to come! A HUNTED bonus mini comic book. And for teachers, a Teacher's Guide. I will list the links below where you can find Cheryl. She is super awesome, so I would check them out if you haven't already. HUNTED will be available December 2nd guys! So, here are some links to pre-order. Do it. Welp, I hope you guys adore all of the HUNTED goodies! As always I hope you have a wonderful weekend and thank you for stopping by. The cover looks very creepy. A book with a trailer and a soundtrack? Authors are really stepping their game up these days. Mike - It may just be the authors that I associate with? Hmm. Was that arrogant of me to say.. The cover reminds me of Unwind by Neal Shusterman, another amazing dystopian. I can't wait to read this one. 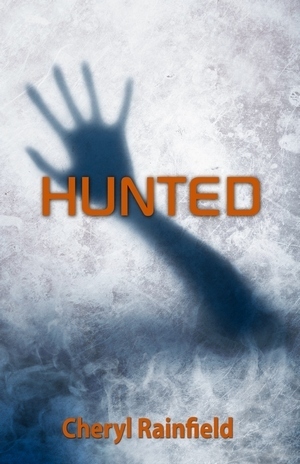 Hunted sounds like just the kind of dark dystopian read that I like best! I grabbed up all the goodies! Thanks for posting about this! Cheryl is both a wonderful person and great writer - I can't wait to read Hunted. Scars was brutal and terrific. These marketing goodies are really a treat. I love the trailer and Cheryl's monologue about what inspired her to write this story. Hi, I'd like to invite you to post your giveaways on our giveaway directory: Giveaway Scout (http://www.giveawayscout.com). Please submit your blog here: http://www.giveawayscout.com/join/ Once you receive our confirmation email you can post your giveaways on our site. Thanks.